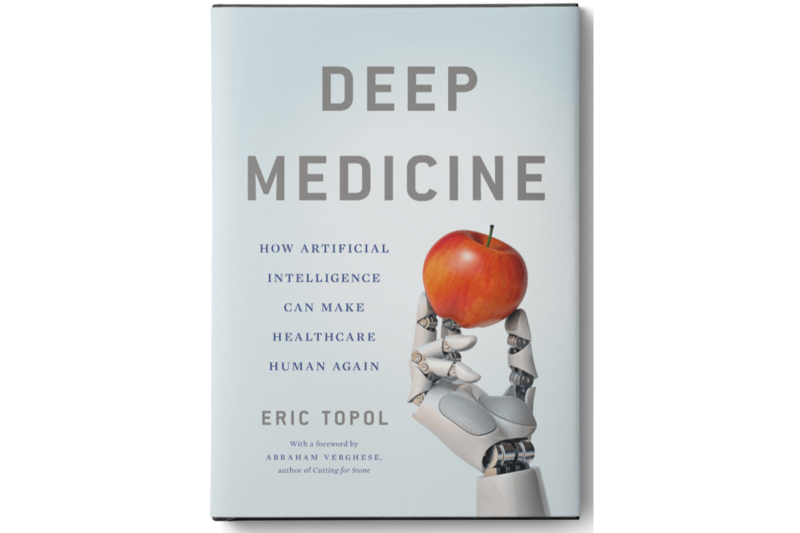 In his new book, Deep Medicine: How Artificial Intelligence Can Make Healthcare Human Again, Eric Topol, a cardiologist and founder of the Scripps Research Translational Institute, a medical research facility, argues that AI will humanize medicine and bolster the doctor-patient relationship. Topol asserts that AI can free time for doctors to spend with their patients by automating processes, such as reviewing medical scans and notetaking. Topol also outlines how AI can improve mental and physical health through tools that provide virtual support and analyze sleeping, exercise, and genomic data to create individualized diets.